Established in 1995, Ontario, Cambrian Solutions is a vibrant sales and marketing company with a primary focus of supplying globally-sourced raw materials and chemicals to our expanding range of customers across Canada. We are a dynamic group of growth focused individuals who pride ourselves on our technical and solutions-oriented approach to our customers’ needs. Cambrian offers a competitive salary in addition to a positive and collaborative corporate culture. We believe in developing people as well as growing our business and make this philosophy a priority. Our head office is located in Oakville, Ontario. 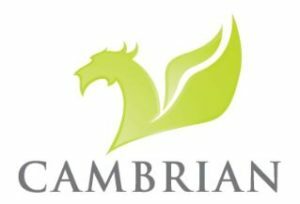 Please visit our website at www.cambrian.com to learn more about us. Oversees the daily operations of the Customer Service Department and management of Customer Service Representatives. Services a small designated pool of customers by processing orders and responding to inquiries, concerns and requests regarding Cambrian’s products and services. Prepare all necessary shipping documents for local and international shipments. Follow up with warehouse on any missing Bill of Ladings to verify order has shipped and invoicing is complete in a timely manner. Communicate effectively with Sales and Product Coordinators to streamline procedures, such as order management i.e. ordering material, rush fees, pricing discrepancies, attaching products, blends etc.